I recently updated the emoncms software with the last version and since then I’m not able to create a virtual feed to sum three powers for instance. Any chance to correct this ? will help us help you . Since then it’s working well (1 week now) but I’m not able to sum the power as I’ve done it in the previous version. When I try to create a virtual feed I’ve the same error @Neil see. Have you run an update since you created the image? If you post the information from the admin screen like I asked, it would help. Just click on the button and paste into a message - nothing else needed. I see this problem too. Create a virtual feed. Click on the spanner. 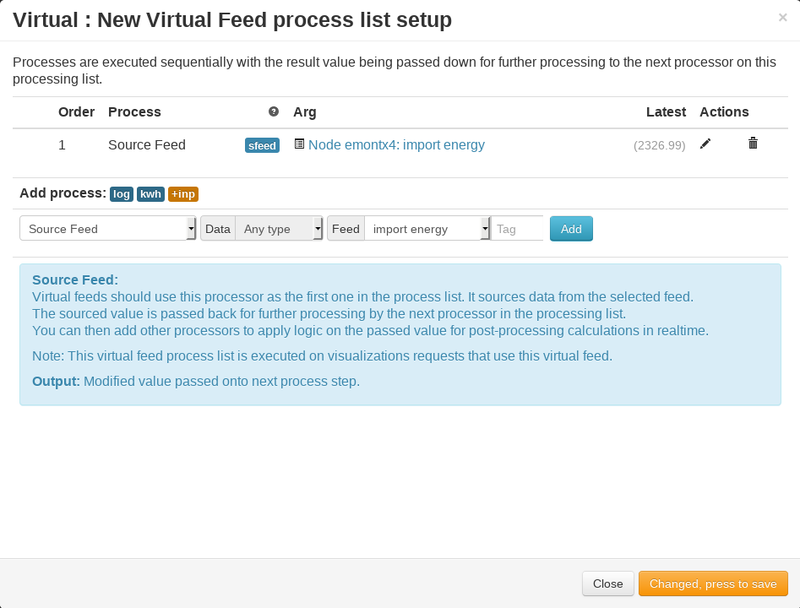 Select any (real) feed to use as the first item, make sure it’s set to ‘Source Feed’, click on ‘Changed, press to save’ and the error comes up. Can you raise an issue on Github and reference it to here please. I have had a look and proposed a solution PR @TrystanLea @glyn.hudson @Gwil.